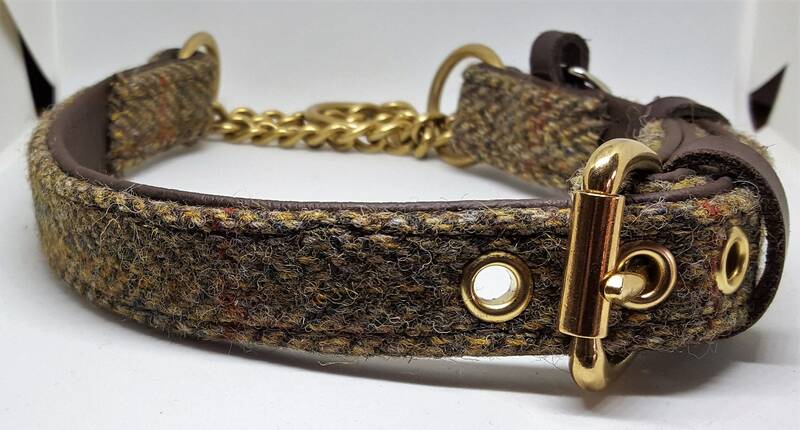 Here we have our hand crafted Green Harris tweed and Brown leather Martingale dog collar with solid brass hardware. All our products are hand made to order in our small workshop. We pride ourselves on making each item to a very high standard with the utmost care taken to ensure our customers are completely satisfied with their purchase. 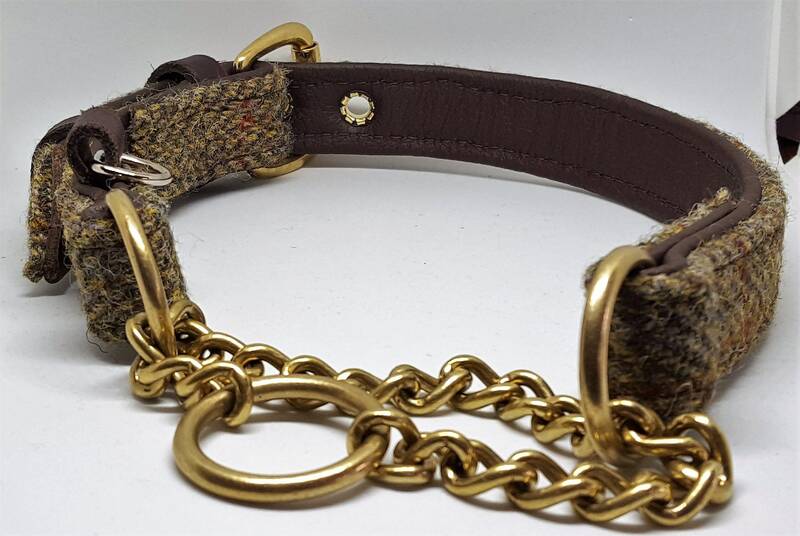 This collar is made from the finest real leather and comes with a solid brass buckle and welded O rings for your pets security and to enable the use of a dog lead.